Make you face filters more immersive and fun by allowing users to change their voice. You can adjust a voice filter to sound like a child, alto, robot or any other voice you like. Face filters and effects can now react to users’ touches — tremble or vibrate — making your app experience more engaging. Our technology detects skin defects and eliminates them in real time allowing users to enjoy their clean skin look. We achieved much more precise lips segmentation that allows applying lipstick with a perfect fit for any type of users’ lips. Lipstick virtual makeup looks super natural as if its real. You can add your logo or custom image to face filters and get your brand message more visible. We significantly improved the speed of video recording which now matches the real-time on-screen experience. We added a preview of neural network support of hair segmentation. Real-time hair recoloring is available now as a separate build for high-end devices. We added a single image processing method with custom input and output formats. It allows achieving a higher quality of photos with AR face filters. You can create gamified face filters that react to use taps, e.g. users can catch AR objects by tapping or swiping on the screen. We added experiment skin and eye segmentation on iOS that allows overlaying eye-shadows and changing skin tone more accurately compared to full-face makeup filters. Users can adjust volume in face filters or mute them and get their face filter experience unobtrusive and comfortable. We achieved a higher quality of AR effects from 25 to 30 FPS on all devices and platforms. AR effects perform smoother. Above all, we've updated face detection and tracking algorithms, resolved a dozen small issues with existing components and features like audio, color corrections, AR effects display and others. Optimized and improved AR SDK performance making it even more lightweight and speedy. 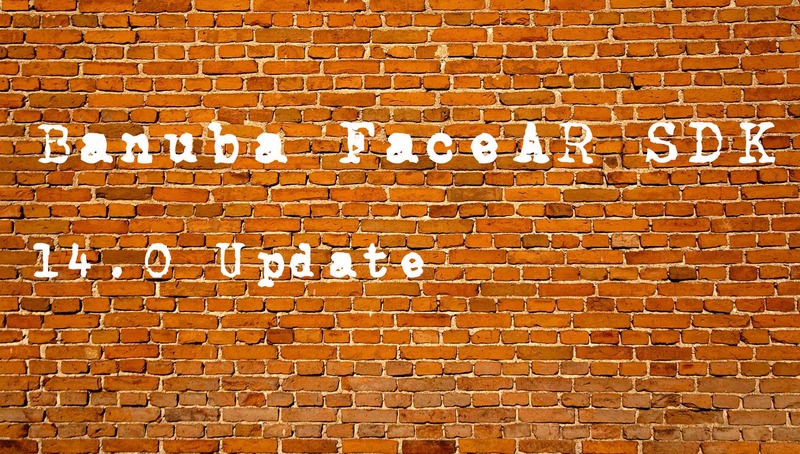 Banuba Face AR SDK includes several components, i.e. Face filters, Beautification, Avatar and Face analytics. You can use each component separately to build a standalone augmented reality app or integrate it into your existing app. See how our Face AR SDK can help you to empower your app with some amazing features that your users will love.